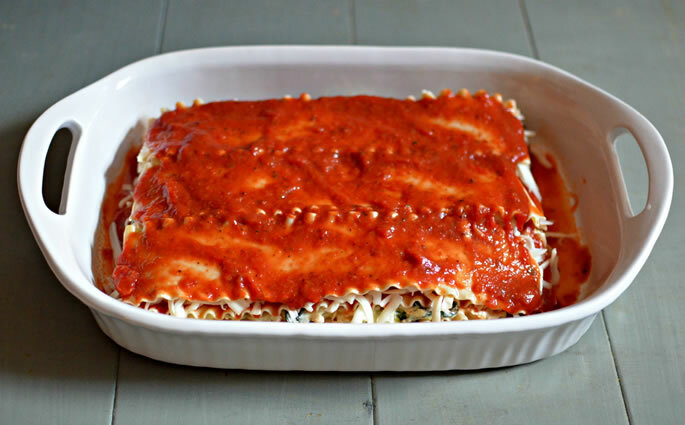 I know “the only lasagna recipe you’ll ever need” is a tall claim, but it has been unanimously voted best lasagna by everyone who’s tried it, including about 40 people last Shavuot, so I’m sticking with it. It does have more steps than a lot of other recipes, so it’s not the recipe to choose when you’re in a hurry, but it's those extra steps that add stacks of flavor and make this so worthwhile. Grate your own cheese! Just do it. Buy a block and grate it yourself. It’s soft and shreds easily, and it does make a difference. The pre-shredded stuff comes coated with powder to prevent it from sticking together in the packet, but that also prevents it from melting properly. Use a real pan. Glass or ceramic. Yes, it will still be good in a disposable foil tin, but it will be much better(!) in a pan that conducts heat well. It cooks better and more evenly. Do not replace the ricotta with cottage cheese. 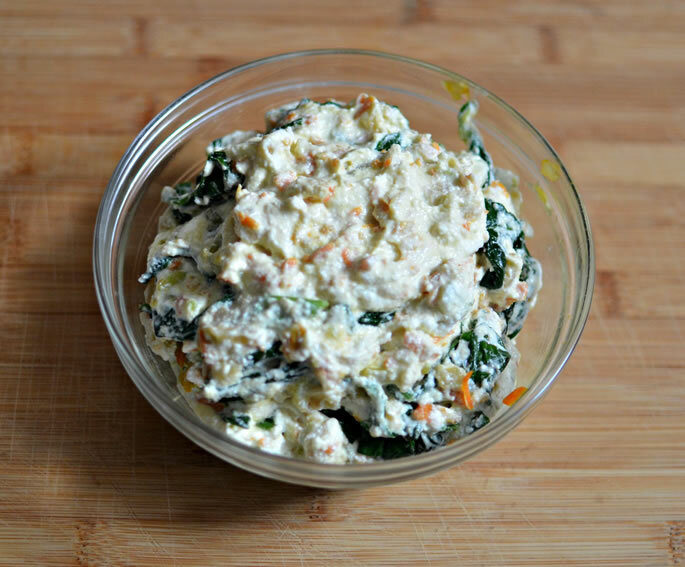 Cottage cheese is ricotta’s limp and wimpy younger cousin. We don’t want that now, do we? 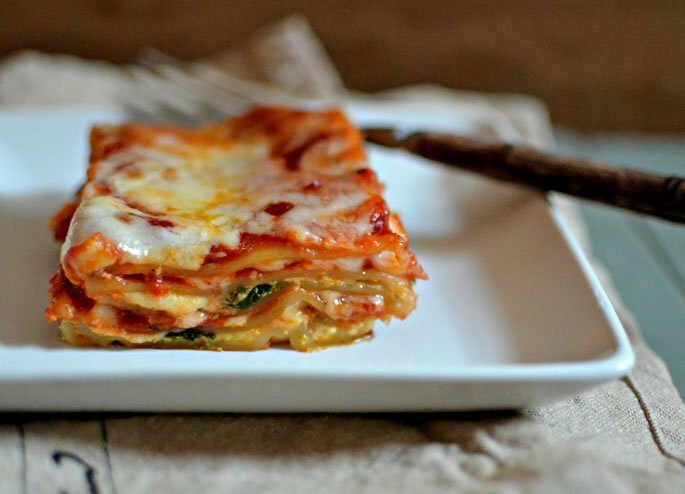 Soak lasagna noodles in warm water. Meanwhile, saute the onion in the oil until translucent. 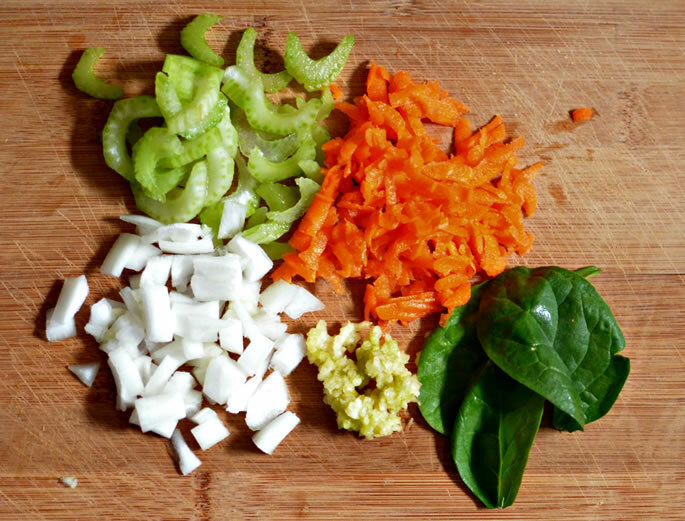 Add the carrots and celery and cook down until wilted. Add the garlic and the fresh spinach. Cook until the spinach has wilted. Season with salt as you go along, adding a sprinkle with each add-in. 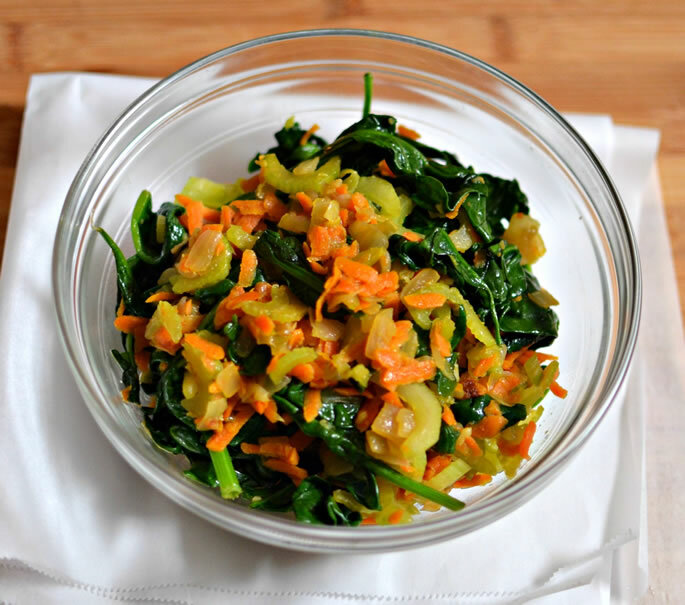 Mix the sauteed vegetables with the ricotta cheese. Set aside. Layer 1: Spread 1 cup marinara sauce across the bottom of the pan. Place three noodles on top. 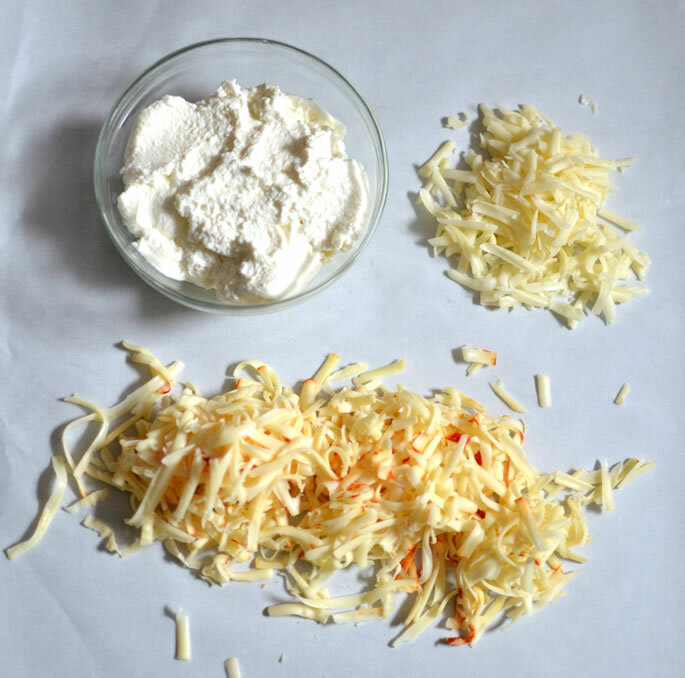 Spread half the ricotta mixture on top of the noodles and sprinkle half the muenster cheese on top. Layer 2: Place 3 lasagna noodles on top of the ricotta. 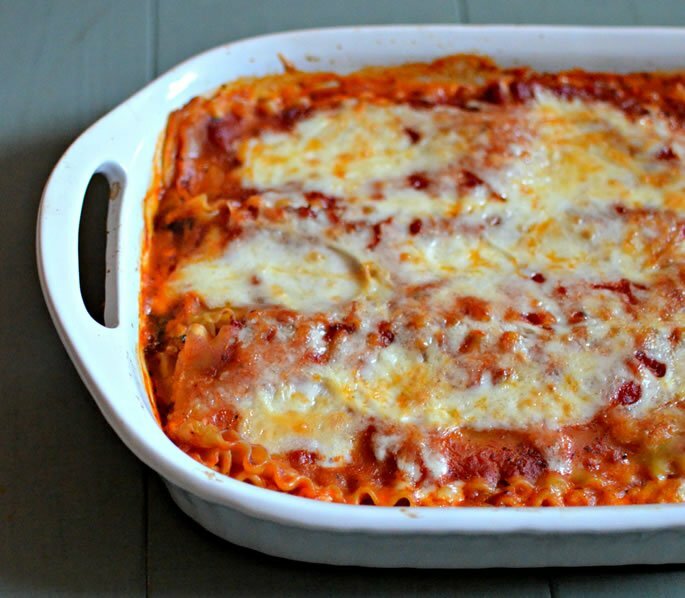 Top with 1 ½ cups marinara and half the mozzarella cheese. Layer 3: Layer three lasagna noodles on top of the marinara. Cover with the remaining half of the ricotta mixture and the remaining half of the muenster cheese. Layer 4: Last three noodles. Cover with 1 ½ cups marinara and remaining mozzarella. Pour 1 cup water around the edges of the lasagna. Cover tightly with foil and bake approximately 1 hour at 350F. Uncover and bake another 15 minutes. Remove from oven and let rest for 15-20 minutes before cutting.